All of the below information comes directly from job reviews written by Fuller's employees based on 12 reviews. Even though Fuller's is a beer company they do not expect you to know everything there is to know about beer. Just show a genuine interest in the industry, and a desire to learn more. Relax, and be yourself. Also take a few seconds to consider your response, rather than jumping straight into an answer. You should try to learn about the company by reading their annual reports & press releases - this will help you to get a feel for what Fuller's is about & what they're looking for. Try and get your passion for the job across & also try and get some of your personality over in the application. It's important to know a bit about the company, what they do & how they operate. Have a few questions of your own lined up to show your interest & initiative. 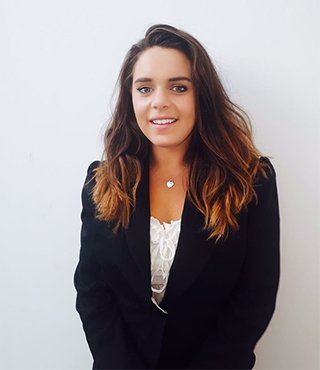 Fuller's are looking for people who will fit with the company culture so when it comes to an interview try and be as relaxed as possible so that the interviewer can get to know you better. 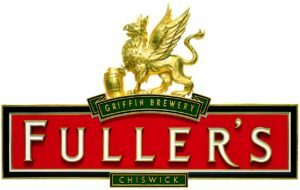 Personality is key for this scheme - Fuller's are a big people company and the culture here is one of its points of pride. Honesty and passion are extremely important when applying. As everyone always says: Be yourself! This piece of advice has never been as important to me as it is here. Quirks and passion are seen as positives in interview! Be honest and be yourself, Fuller's know what they're looking for. Don't be afraid to demonstrate your personality, it's this rather than experience that will get you onto the scheme. Research Fuller's. Visit a range of their pubs so you can get a feel for what we do. Make sure your CV has diverse things on it, not just academic stuff and all the usual good spelling, grammar etc. that goes without saying. Make sure you get your personality across as this is probably the first thing they consider after your qualifications, they want to know that you'll fit in well at Fuller's. If you have to do a presentation make sure you stick to the allotted time. Be personable and really get involved in the group activities. Don't be shy and try to talk to the people assessing you outside of the interview during the assessment day. Don't apply unless you are really passionate about customer service and the pub industry. You need not have experience but passion is a must! Be yourself. This industry requires people who are friendly, honest and hard working and if that is you then just relax and let your personality show. Do your homework and know about the industry. Don't just read about it online, get out there and see what's going on and don't be afriad to have an opinion. Be yourself, Fuller's is not like most other FMCG companies. The recruitment process is designed to select people who will fit in and they need to see your personality to do this. Know the company and industry. Be yourself, they recruit for personality. What is your favourite pub and why. Take a real interest in the company - they want to employ people who are passionate about the compnay and its products. Fuller’s are looking for particular skills and abilities because they want you to thrive in your roles and enjoy working here – what works at other assessment centres/interviews might not be suitable for this application, so just be yourself and try to enjoy the assessment day and interviews! They are looking for interesting people, not just high grades. Just be yourself, above all they look for genuine people.